Looking for a way to ignite envy among your friends? Can’t bring yourself to talk openly about money in your social circle? Concerned that your social media followers might suspect you don’t spend all 24 hours of each and every day crushing it? This one easy trick can create the illusion that everything is just fine. 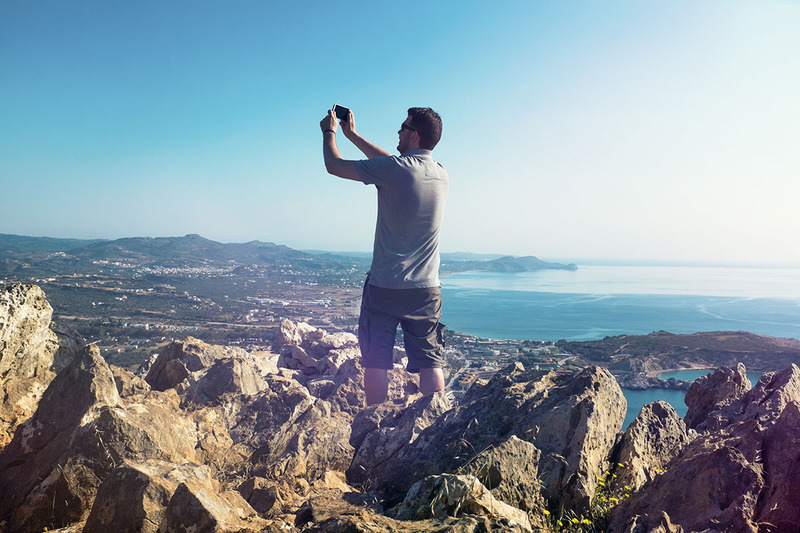 A new survey by financial planning company LearnVest found that more than one-third of men admit to posting fake vacation photos to social media. Ladies, I see you too. Twenty-six percent of women have tried the same nonsense. All these unscrupulous women and men are likely millennials, for LearnVest reports that 56% of America’s snake people have pulled this move. Please put away your surprised face. Millennials were born into terrible financial circumstances and will never have the promise of comfort their parents claimed. So instead of living modestly and finding the little things to bring us joy, here we are. Lying about vacations. Chilling by the pool at the La Quinta in the far suburb of some beachy locale, posting photos so filtered someone might mistake them for the Hyatt. Or you do a quick Google for a picture of a dish you’d like to eat someday, when you’re in a higher tax bracket, and slap it on the ’Gram. No one will ever know, right? I mean, you could actually save up for the vacation you really want. I’m not saying you’ll be able to hit the all-inclusive resort tomorrow, but if you plan ahead (perhaps way ahead) for your next trip, you’ll be able to enjoy yourself without nickel and diming yourself into a vending machine meal. The average debt after a vacation? More than $1,100, according to another LearnVest survey. So think about saving before you vacation. Then I’ll let you post as many photos of your feet in the sand as you want, as long as you’re actually there.